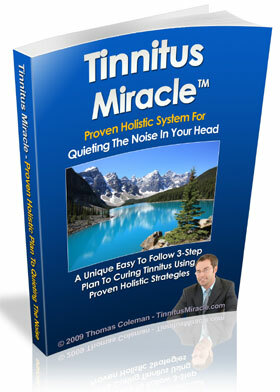 Natural Remedies For Tinnitus. Does The Problem Ring Any Bells With You? Before considering any natural remedies for tinnitus it is as well to define just what tinnitus is, and just what the problems might be. Tinnitus is the medical term for what is commonly called ringing in the ears. In reality that 'ringing' may well be more of a buzzing, humming or swishing sound. Essentially when tinnitus symptoms occur they can sometimes persist for long periods and even permanently. For, sad to say, when tinnitus is caused as a reaction to damage caused by loud external noise or perhaps even other causes (we shall look at momentarily) the problem may not be fixable, and the best natural remedies may be those that help you to 'cope' or live with some level of aberrant sound in your ears. Many people may suffer tinnitus for periods in their lives. Typically it can occur after exposure to loud noise, such as a pop-concert, or indeed any level of noise above 70 decibels for a prolonged period. Once away from the initial cause of noise a persistent humming, buzzing and dullness in the ears mey be experienced. The fact that any amount of tinnitus is heard implies that some damage gas been done to your hearing, and depending on the individual and the level and duration of exposure, hearing may never fully recover. This is why workers who fail to take adequate protective precautions when working in a noisy environment caused by machinery, or equipment, risk becoming permanently deafened as the acuity of their hearing suffers, and the development of the confusing drumming or buzzing sound, known as tinnitus, obfuscates normal levels of sound that would normally have been heard clearly. But there are in fact many both physical and medical, natural and 'less natural' causes of tinnitus that may have been responsible for triggering this type of hearing problem.